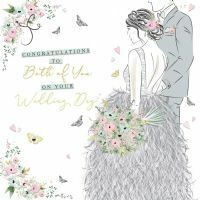 Hand embellished in The Potteries in Stoke On Trent, this beautiful card by The Handcrafted Card Company is perfect to give for a wedding. 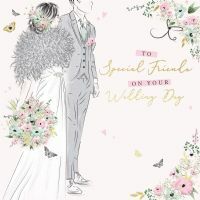 As part of the 'Wedding Belles' range this card really focuses on detail, such as beautiful decorative embossing, delicate foiling and sparkling gems. 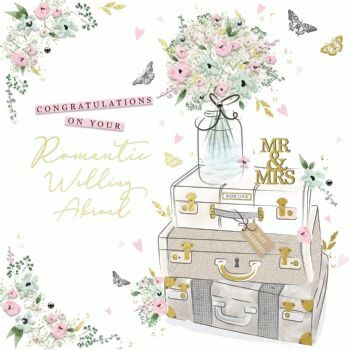 "Congratulations on your Romantic Wedding Abroad"
It really is the perfect card for the perfect couple who are tying the knot abroad. This card is blank inside for you to write your own message.